Been turned down for a loan by the bank? Credit glitches forcing you to rent? Just plain sick and tired of the banks? 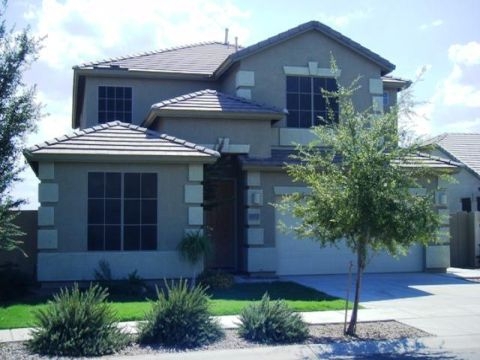 With short-sales and foreclosures abundant in the Mesa Arizona area, people are finding themselves with no alternative then renting. Skip the banks and their crazy ever-changing criteria, forget the foreclosures in 'as is' condition, consider the growing number of "Seller Financed Homes. "What exactly does this mean? 'Seller financing', 'Owner will carry', 'no bank financing', 'land contract', 'contract for deed', 'Seller carry note'. Is this something new? Another scam? Very simply put.....the owner of the home is acting as the bank and is financing the home to you. With the current situations with the banks, the mounting multitude of foreclosures, short-sales and bankrupsies; going back to the 'old ways' makes sense. This is giving homeowners and investors another alternative then to be stuck in this current market conditions. You will still have to come up with a down payment of 6%-20% but you will not have the high costs of obtaining a loan which in some circumstances can be as high as 7 1/2% - - in just closing costs, that goes directly into the bank's pocket! In a traditional owner carry situation the down payment is directly applied to price of the home! Now that just makes sense! Make sure that you use professionals for your transaction. You should have real estate attorney and a must is a good title company that is familiar with these types of transactions. And.....as always a good Real Estate Agent! Rent to own Lease the home and purchase it when you are able to obtain traditional bank financing or have a down payment saved to buy with seller financing. If you’d like to receive more information about more specific Seller Financed real estate and properties for sale Maricopa and Pinal County, AZ areas, then please fill out the following form below or contact me today at 602-321-7109.